I love traditions. I really do. St. Patrick's Day, 4th of July, Thanksgiving, and Christmas Eve are some of the holidays where I always follow the same schedule and eat the same foods. On Easter I usually have intense cravings for giant chocolate bunnies, peeps, and black jelly beans. I also like to call and torment my sister by bringing back the childhood memory of the melted bunny. One Sunday as kids we each scored the largest Sees Candy bunny you've ever seen. But when we got back from church, her bunny, which had been left on her window sill, had been reduced to a puddle of milk chocolate in the bottom of a box. I didn't call her today about that or eat any of my favorite Easter foods. Maybe I'm finally growing up. Or maybe not. Towards the end of today's Easter church service all I could think about was a dark beer and a hot dog. I felt a little guilty about that, since I'm fairly sure my thoughts were supposed to be focused on the Resurrection and not on the state of my BBQ. 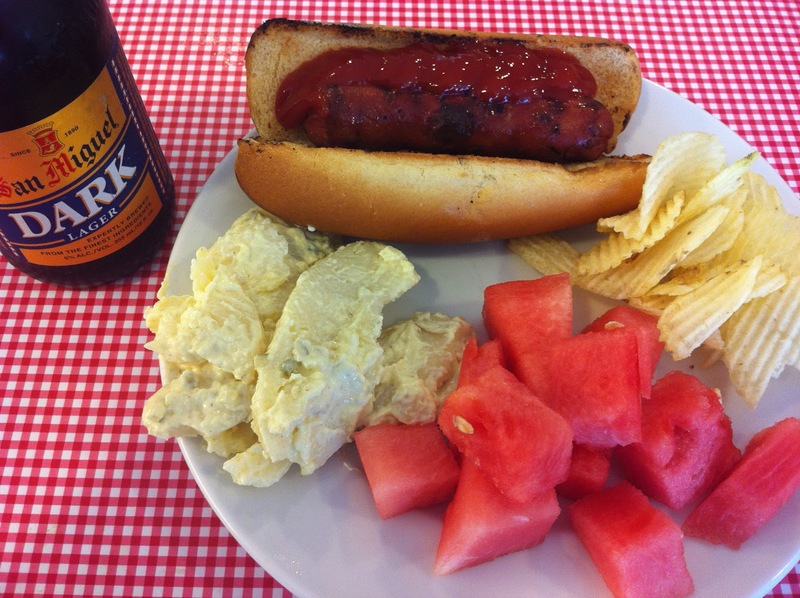 But there I was, craving potato salad, chips, watermelon, a dog and a beer on a day when deviled eggs and honey roasted hams are on tables across America. But something tells me that Jesus wouldn't really care. If he saw my plate he probably would have pulled up a chair.